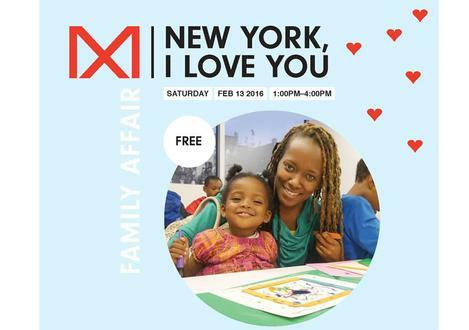 Celebrate Valentine’s Day with your family and friends at The Bronx Museum of the Arts! Explore the exhibition Martin Wong: Human Instamatic and make your own artwork inspired by love in New York City. For children 12 and under with parent/guardian. ¡Celebre el día de San Valentín en el Bronx Museum of the Arts! Acompáñenos para una tarde de actividades de arte para toda la familia. Para menores de 12 años con el padre / tutor. Family Affair is made possible with support from Con Edison, New York Yankees Foundation, and Robert Lehman Foundation.